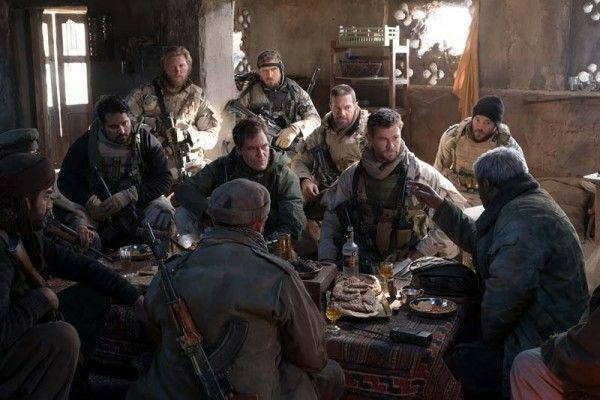 Based on the book Horse Soldiers by Doug Stanton, the film recounts how in the wake of the 9/11 attacks, a group of CIA paramilitary officers and US Special Forces are sent to Afghanistan to join General Abdul Rashid Dostum in the fight against the Taliban. Nicolai Fuglsig (Exfil) directs from a script by Peter Craig (The Hunger Games; Mockingjay) and Ted Tally (The Silence of the Lambs), and the impressive ensemble cast is led by Chris Hemsworth and Michael Shannon and also includes Michael Peña, Austin Stowell, Trevante Rhodes, and Rob Riggle. The film also stars Elsa Pataky and Taylor Sheridan. 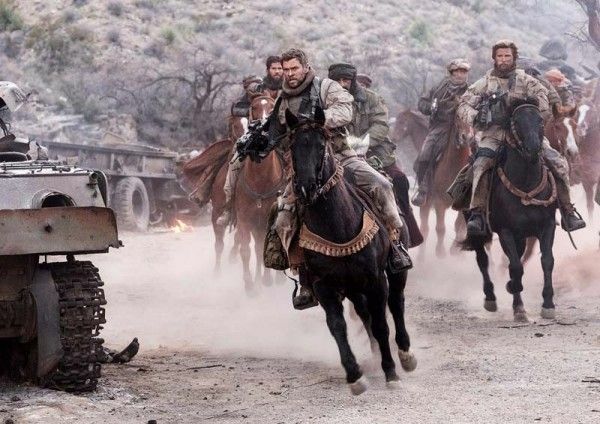 12 Strong: The Declassified True Story of the Horse Soldiers opens in theaters on January 19, 2018.